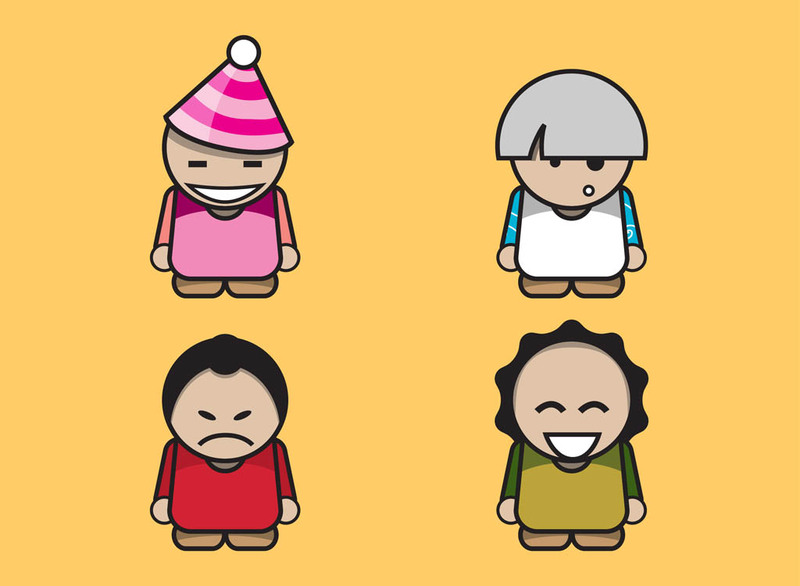 Funny cartoon vectors with different characters. Smiling boy with pointy party hat, surprised man, angry Asian person and a laughing character with curly hair. Free vector designs to create cartoon and game characters, brand mascots, T-shirt prints, stickers and caricatures designs. Tags: Angry, Characters, Comic, Laugh, Mascots, Smile.